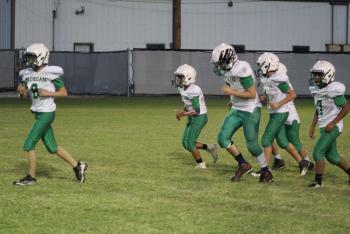 The Morgan Eagles played the Bynum Bulldogs in Bynum.The Eagles started off to a rough start which caused them to be behind at least a touchdown or 2. Towards the end of the first half, the Eagles started to realize their mistakes and picked it up by the second half. They played a lot better by third and fourth quarter, but it wasn’t enough to beat Bulldogs. The score at the end of the game was 24-0 with Bynum JH winning the game. Go Eagles!